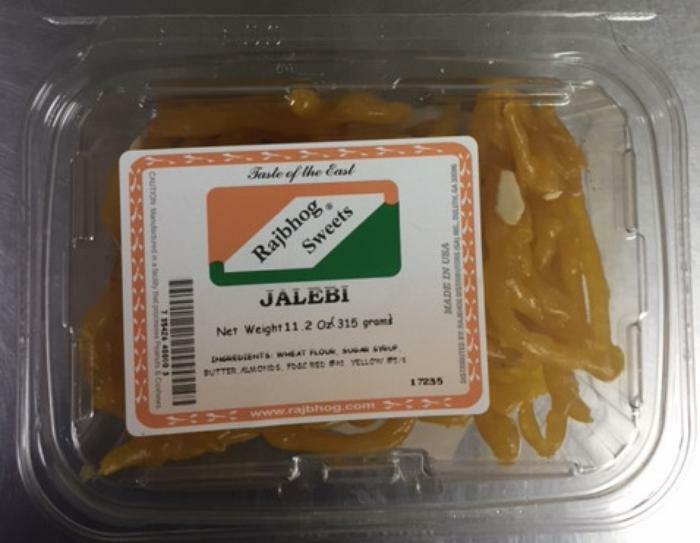 Rajbhog Distributors GA. of Tucker Ga., is recalling 1,467 packets of Jalebi. The recalled product, with Code numbers P026 and P027, were sold in retail stores in Georgia, South Carolina, North Carolina, Florida, Mississippi and Tennessee. Consumers with questions may contact the company at (678) 924-1440 Monday – Friday, 10:00 AM – 6:00 PM.